Dating back over 75,000 years, Aboriginal and Torres Strait Islander peoples have the longest living culture in the world. As the traditional custodians of Australia, their ideologies and way of life are a deeply significant part of Australia’s national identity. Surrounded by the timeless landscapes of desert plains, mountain ranges and dramatic gorges, there’s no better place to learn about Aboriginal culture than Central Australia. Through hands-on learning experiences… students gain an authentic understanding of the indigenous way of life. 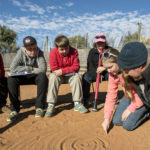 Here are the best learning activities in Central Australia for students to gain an understanding of the histories and culture of Aboriginal and Torres Strait Islander peoples. 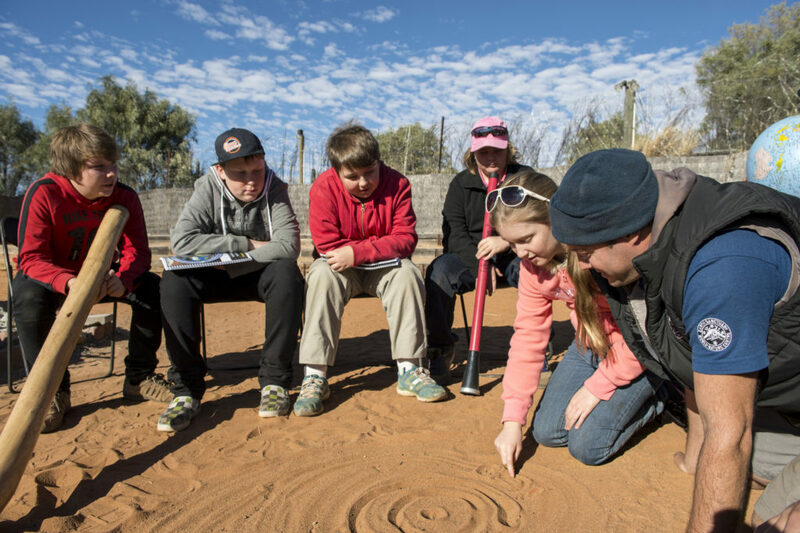 Show your students firsthand how the Aboriginal desert tribes of Central Australia have survived in one of the world’s harshest environments for tens of thousands of years. Students will hear stories passed down through generations about Aboriginal belief systems, as they sample some bush tucker and handle ancient tools and weaponry. Students learn how to spot the plants used for Aboriginal bush medicines and understand the importance of the grinding stone and edible seeds in the indigenous diet. Involve your students in the Aboriginal artistic process as they put their decorative abilities to the test creating seeded necklaces. After a warm welcome from members of the local Indigenous community, students will learn about their culture and history through a hands-on cultural experience of basket weaving, spear throwing, fire lighting, painting, and learning the didgeridoo. Students explore the many meanings and practices encompassed within the religion, law and moral systems of the Anangu culture, the traditional owners of Uluru- Kata Tjuta. Students will build and test their knowledge with a Park Ranger, who manages the land alongside the Anangu people. As the traditional custodians of Australia and the oldest living culture in the world, it’s important students have opportunities to understand and develop respect for indigenous Australians and their way of life. Their history and culture is an important part of the Australian Curriculum and an integral part of our national heritage and identity. Give your students an authentic understanding of Australian Aboriginals and discover the many wonders of Central Australia. Find an adventure which meets your curriculum needs, speak to our experts by calling 1800 655 661 or emailing info@worldstrides.com.au.